Every year the Canadian Home Builders Association (CHBA) designates the month of October as Renovation month across Canada. Typically, Renovation month is a time for our industry to organize seminars and other events to help consumers understand what goes into a home renovation and what to look for when you are planning a renovation. The CHBA-Edmonton Region takes this time to give back to our community. Local home renovation companies, who are members of the CHBA-Edmonton Region, take this opportunity to do what they do best. Renovating a space to make it a functional and enjoyable place. This is our third year doing a renovation project of this kind. We transformed the main level of the Pilgrims Hospice our first year, and brightened up common areas for a local women’s shelter last year. Our Renovator Committee’s Community Service Day gives our members a chance to give with their skills and talents to a nonprofit organization in a meaningful way. The changes we make in their buildings give their clients, participants, volunteers, and staff a space that is beautiful and functional. “This is an amazing opportunity to partner up with some of the Edmonton area’s top renovations experts. We are honoured and grateful to have been chosen as this year’s charity for this project. 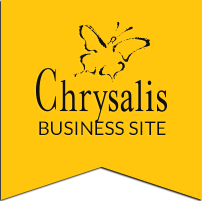 We know our clients and staff will greatly benefit will from the work this wonderful team will be doing for us and on behalf of all of us we thank you very much,” says Jerome Babyn, President and CEO of Chrysalis.